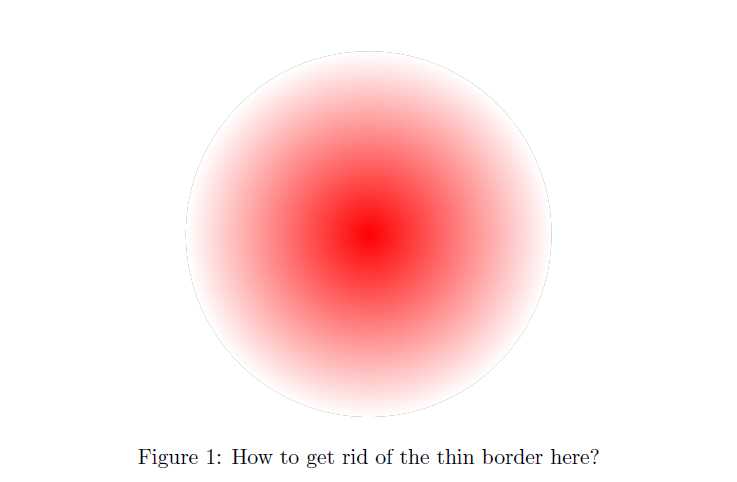 I'd like to have a radial shaded circle whose outer color is the same as the background, but I didn't manage to do it. 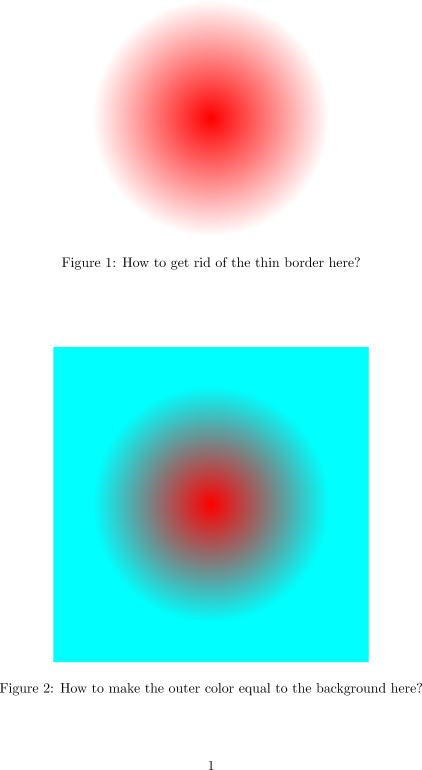 If I set outer color=white without a background, a strange border appers (see Figure 1). 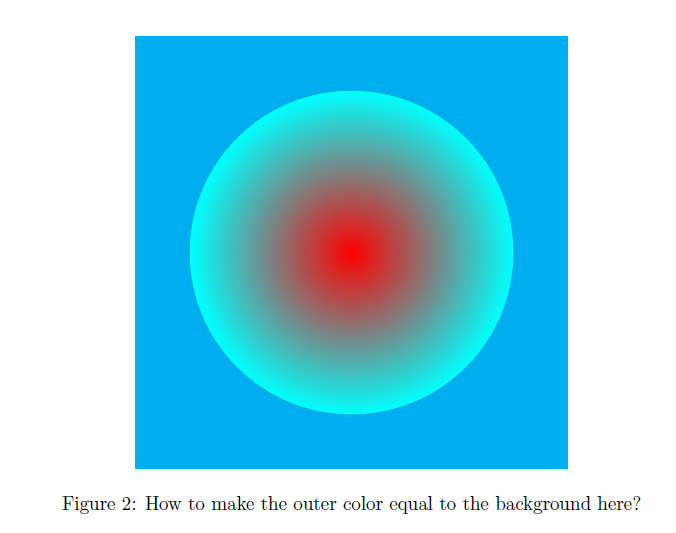 If I set the outer color equal to a background color, they are different in the output (see Figure 2). In the two cases, you don't need to fill your circle before to shade it. So, use \path or \shade instead of \fill. The second case uses colors from two different models: red (rgb) and cyan (hsv). But, with TikZ/pgf, shading always uses rgb colors. So, convert the cyan color to rgb before to use it. picture in picture: how to eliminate influences of outer node options on inner node?